A fantasy series with a strong female lead, an ensemble of mostly powerful women characters which passes the Bechdel test with flying colors, and lots of fantasy elements blended in a way which feels more like Final Fantasy than Lord of the Rings. If you like strong women and epic battles with a touch of magic and technology, this series is for you! Valandra is killing it on Goodreads! Valandra: The Winds of Time Cycle (Book 1) tells the story of Arianna De Amato, a young heroine with extraordinary fighting abilities. However, Arianna isn't very skilled when it comes to navigating her personal life. As she tries to navigate complex human relationships, she becomes embroiled in a plot of deception and murder. Witnessing her masters death at the hands of the wraith knight Ashram, Arianna swears revenge. But Ashram leads the Army of the Dead against the Holy City of Sabolin, and Arianna is embroiled in the intricate web of politics that threaten to pit the realms against one another in all out war. Valandra: The Dragon Blade Cycle (Book 2) continues Arianna's exciting adventures. This time she must venture into the Nether, the underworld, to free the Outlier. Seeking answers about her own true nature, Arianna must fight the dreaded Minotaur and outsmart and ancient mystical snail's confounding riddle. But the real problem awaits her back in the real world, for when she returns to the surface three years have passed and Valandra lies in ruins. If that's not bad enough, the evil sorceress Daeris Darkthorne has amassed an army of flying Juggernauts--giants suits of battle armour which can be piloted by skilled warriors. These war machines run on magic crystals harvested from dragons. 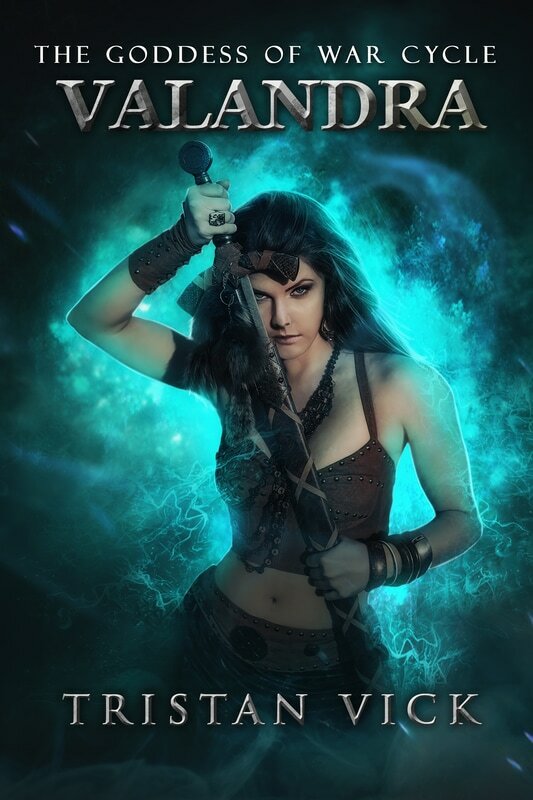 Valandra: The Goddess of War Cycle (Book 3) finds Arianna scrambling to track down her old friends. But everybody has moved on and is different now. Determined to track down the Twelve Swords of Sabolin, ancient swords with great power, Arianna creates a new band of friends, including the loyal giant Solstrom and a reclusive princess Selma Ashmore, along with the blue dragon Halcion, and takes the fight to the evil sorceress Daeris Darkthorne. But standing in her way of getting to Darkthonre is Demos Nun and his two siblings--Titans hell bent on Arianna's destruction. Discover the history of Valandra and more in the official Valandra companion book The 12 Swords of Sabolin!